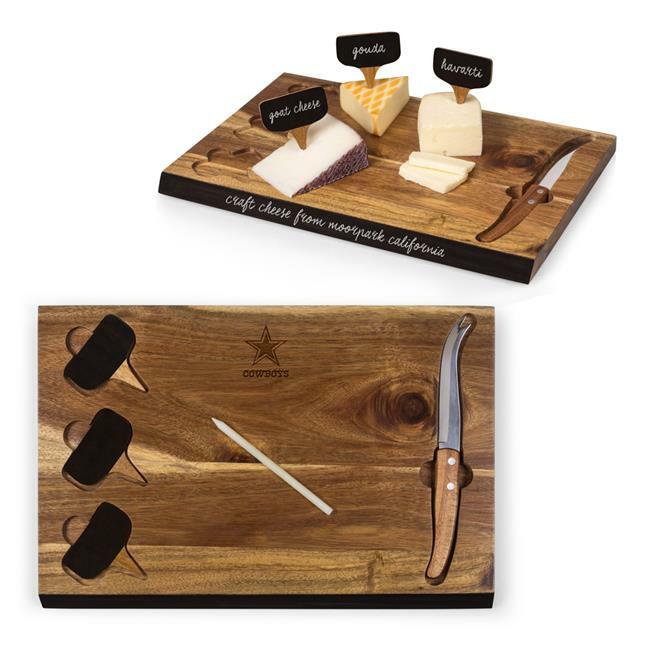 Cutting board and cheese tools set. Features a chalkboard area. Includes one cheese knife, three cheese markers, and one soapstone pencil.